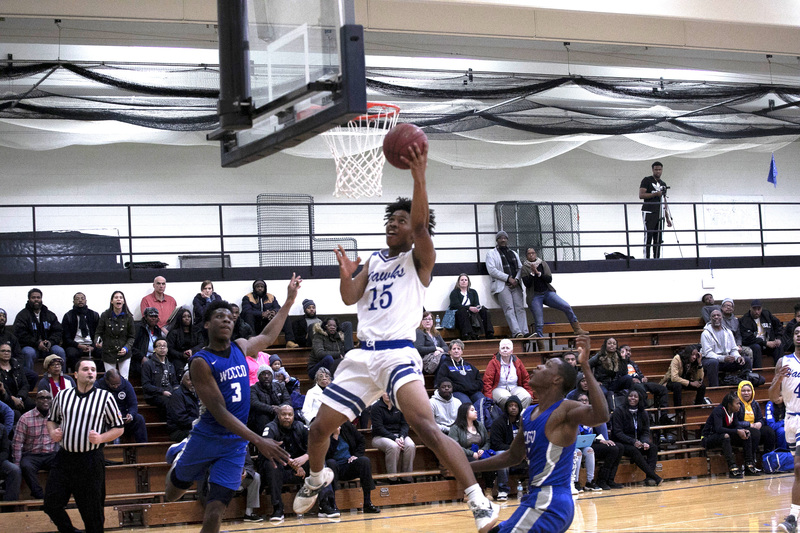 Henry Ford College Hawks men’s basketball team has been on a run winning five of the last seven en route to a 13-7 record on the season. The Hawks team sits in third place in the division standings behind Schoolcraft and St. Clair, and tied with Mott. The team has played hard against the top teams on the road this year, according to coach Chris Shepard. Freshman guard Leon Ayers leads the team in points with a 14 per game average, and freshman forward LaMarkco Gulledge is averaging 5 rebounds and 10 points. A heavy freshman presence for the Hawks is common as the coaching staff only gets two years with the players. What should help this young and talented Hawks team down the stretch is having seven of the final 10 games at home. That with also being in the hunt for a playoff spot should be motivation enough for the players who were on the team last year that made it to the playoffs last season. The team does have four players from the team that made it to the playoffs last year to help guide the younger talent along. Being tied for third place sitting behind two nationally ranked teams and being tied with another team who is ranked, Coach Shepard said, “All the teams ahead of us still have to come to our place,” and with Shepard at the helm, the Hawks only lost one game at home in two years. This year, the team has played a national schedule, and had some tough losses on the season. In two of those tough league losses, the Hawks had the lead but just couldn’t hold on. However Shepard did say that on the outside looking in, a lot of people don’t realize what we have been able to accomplish, but I’m proud of our guys and we will continue to get better. You still have plenty of time to catch the Hawks as they still have six more home games with three games against ranked teams including top ranked Schoolcraft on Feb. 20. The team’s next home game will be against Alpena at 6:00 p.m. on Feb. 2 in the gym in building H.